His Excellency Lee Hyuk, Ambassador, Republic of Korea visited Cebu recently to familiarize himself with the tourist destinations Korean nationals frequent and to touch base with the local community. 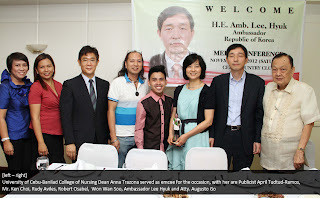 Honorary Consul of South Korea Atty. 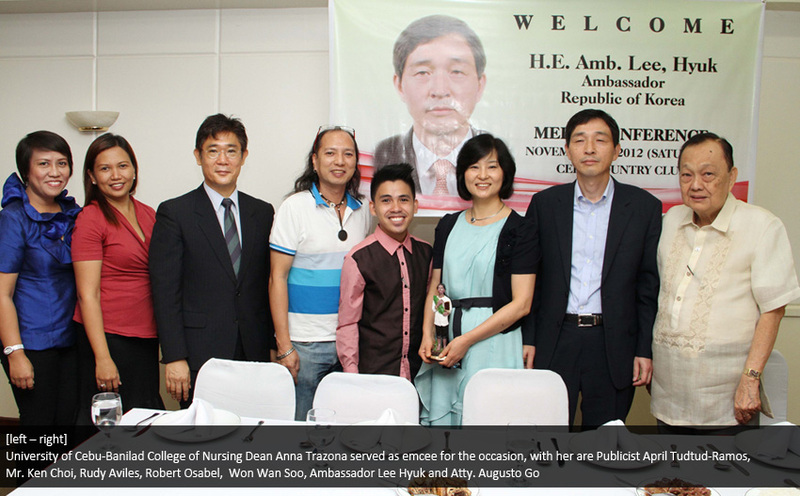 Augusto Go hosted a media gathering with Ambassador Lee to bring him closer to the Cebuanos. Ambassador Lee shared that he found Cebu very beautiful, with its hills and beaches. He also observed that Cebuanos have learned to appreciate Korean culture, including Korean food and Gundam videos. Ambassador Lee reiterated his country’s commitment to enhance the foundation of friendly bilateral relations with the Philippines. He replaced Lee Hye Min who received the Order of Sikatuna with the rank of Datu (Grand Cross, Gold Distinction) during his farewell call ceremony in Malacanang last September 3.